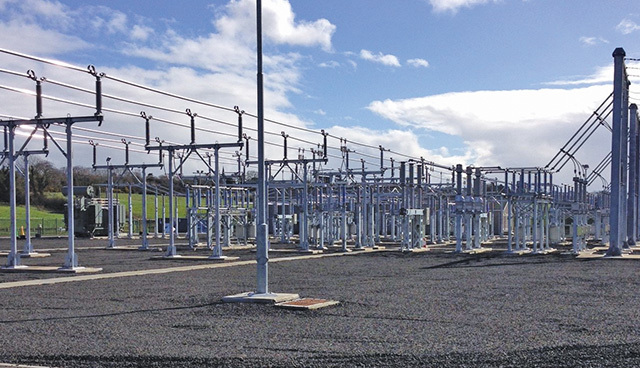 Since opening its Irish division in Dublin in early 2017, power engineering contractor Smith Brothers has gone from strength to strength. Commercial Director Dave Ogden explores how enhanced in-house offerings and targeted recruitment is set to sustain this success into 2019 and beyond. The past 12 months has undoubtedly been a year of significant transformation within the renewable energy landscape. From the transition to subsidy-free renewable developments to ongoing technological advancements across all market divisions, no area has remained untouched. And all the while, independent framework provider Smith Brothers has been building on its growing industry presence to secure a number of large-scale renewables contracts in the Republic of Ireland and beyond. LV cable networks to industrial and commercial properties. EPC design services to customer networks. But although adapting to this fast-moving sector is undeniably important, merely keeping up isn’t enough. Staying ahead of the curve and predicting new advancements in the ever-evolving landscape is easier said than done. Yet over the past 12 months at Smith Brothers, we’ve invested significantly in team development and specialist equipment to help us achieve just that. With our total headcount having grown to more than 70 over the past year, we’ve never been in a better position to deliver turnkey solutions to clients. Another key part of this substantial workforce development has been the enhancement of our in-house capabilities through the appointment of an expert design division – boosting both the civil and electrical design aspects of our end-to-end service. And our significant expansion and industry performance hasn’t gone unnoticed over 2017-18 – we’ve been shortlisted for a total of five trade and business growth awards, including an Electrical Industry Award, an Electrical Review Award and an Amazon Growing Business Award. We’ve also exhibited at a number of high-profile events throughout the UK and Ireland – such as All-Energy and Large Scale Solar Europe – and been selected to join the ISEA’s exclusive ‘Grid Working Group’. Looking ahead to 2019, we’re excited to drive this momentum forwards, with further investment in our team enabling us to make even bigger waves in the Irish renewables arena.